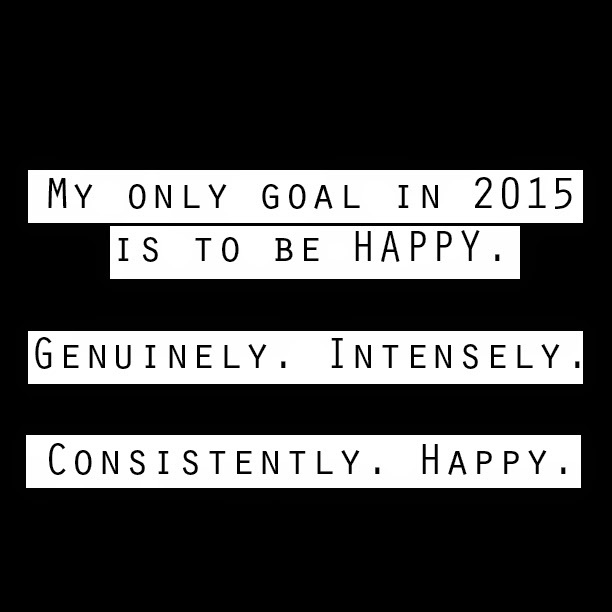 My Only Goal in 2015 is to be Happy. Genuinely. Intensely. Consistently. Happy. 2014 was all about becoming. 2015 is going to be about being present, happy and most importantly extremely grateful for the happiness in my life.